Forty years before the Grand Prix promoters invented a prize for the best performed non-factory rider, there was an unofficial racers’ badge of honour – the top 500 class private entrant. It was particularly appropriate at the end of the 1950s, when MV Agusta was the only premier-class works team, and invariably the winner. Bob Brown finished third in the 1959 World 500 Championship, with three podium finishes, as well as two fourth placings and a fifth in seven rounds. He was also third in the 350 championship. The men who beat him in both classes were works MV riders. Putting that another way, Brown was top four in five of the season’s seven 500 GPs, a 71 per cent success rate on a private Norton. Some current works riders dream of that level of success. 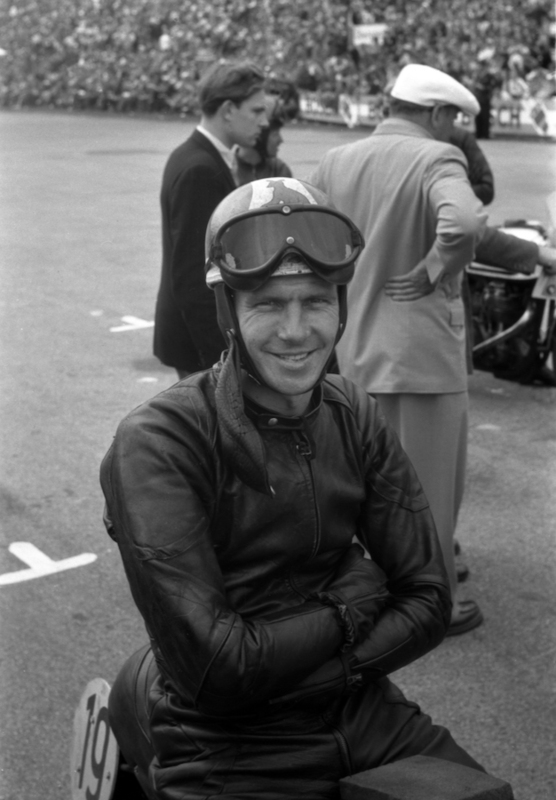 At the Isle of Man, Brown finished all five 500 TTs he started, including three consecutive third places in 1957-58-59. In 1957, Gilera hired him as replacement rider and he was third in the 350 and 500 TTs. 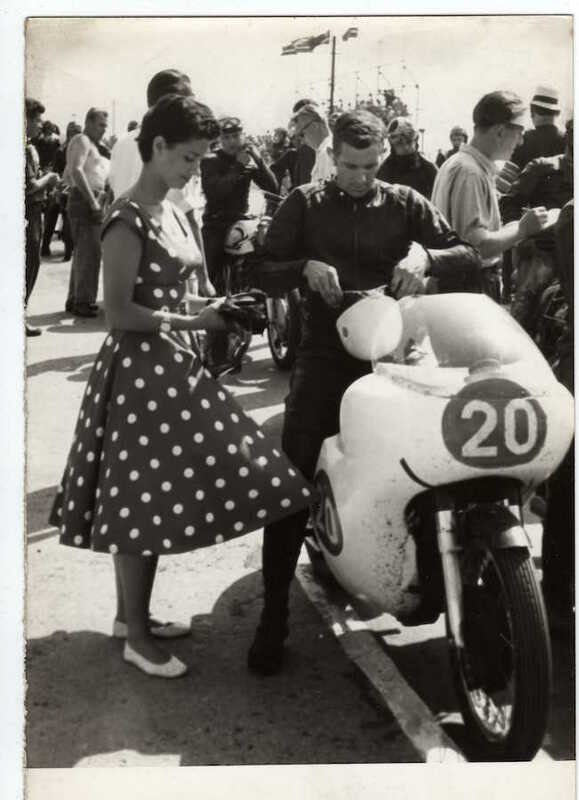 This was the first time he’d raced four-cylinder bikes and only his second TT meeting, having missed the ’56 event as one of a dozen riders suspended due to the 1955 Dutch TT riders’ strike. 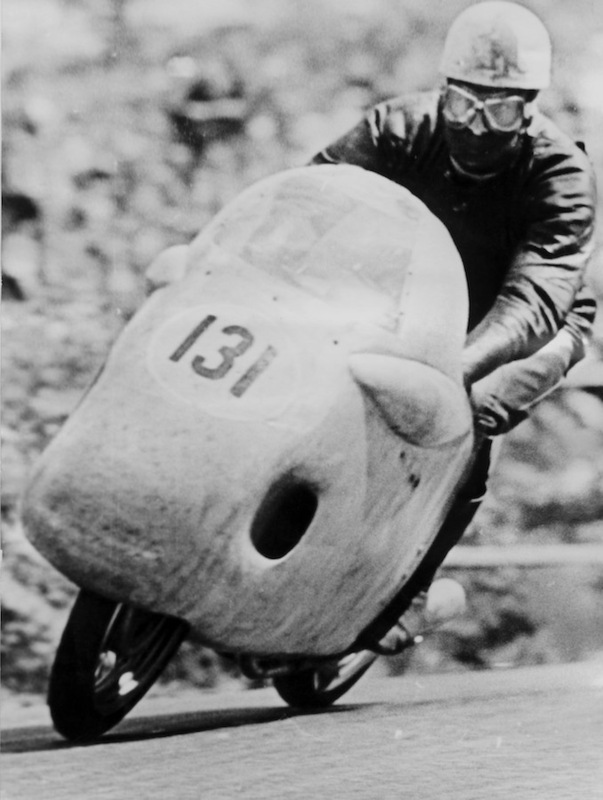 Gilera called on Brown again in July 1957 for the Belgian GP, subbing injured double TT winner Bob McIntyre. However, he was controversially denied a 500 ride. When Gilera mechanics went to warm-up the machine of factory favourite Libero Liberati, it would not start. New team boss Roberto Persi ordered Brown to surrender his bike, sending Liberati out with Brown’s race number. Another Australian, Keith Bryen, described Persi’s actions as “treating Brown like dirt”. English superstar Geoff Duke had recommended Brown to Gilera and he was incensed. However, officials allowed Liberati continue, contrary to FIM sporting commission rules and after a protest was lodged during the race! Liberati won on Brown’s allotted bike, it being the only Italian multi that lasted the 212km race, after Keith Campbell’s Guzzi V8 and John Surtees’ MV four both broke. Veteran Jack Brett and Bryen completed the podium on their Nortons. Liberati was stripped of the win on protest, but in January 1958 he was reinstated by the FIM and the result stands to this day. In addition to his 350 and 500 championship achievements in 1959, Brown made history in the short-lived Formula 1 class. Intended to exclude factory bikes, the class only appeared four times: two races at the 1959 TT, a 350 race at the Dutch TT and a 500 event at the Swedish GP. Brown won the latter two. He did not ever win a world championship GP, but he was on the 500 GP podium nine times, the best tally without winning a 500 GP until Graeme Crosby in 1980-82. In June 1960, Honda hired Brown to ride a four-cylinder 250 at the TT. He finished fourth, becoming the first Western rider to score world championship points on a Japanese motorcycle. Barely a month later, Brown crashed while practicing on a Honda for the West German GP at Solitude and died from head injuries. It’s believed he was ‘touring’ to the pits with a misfiring engine when it suddenly chimed on all four cylinders and unseated him. He had already earned sufficient points to be the best-placed Norton rider in the 1960 500 title, including second place at Assen, where he split the MV entries. Brown was 30, having been born at Little Plains near Inverell in May 1930 and grown up in Canterbury, Sydney, where he became a motor mechanic and drove taxis. Until 1988, Brown was remembered by the Western Suburbs Club with a perpetual trophy for the most successful club team at the Easter Bathurst races. There is a more remarkable tribute in The Race for Leadership: ’61 World Championship Road Race, which Honda produced to celebrate its maiden world 125 and 250 championships, titles won by Tom Phillis and Mike Hailwood.